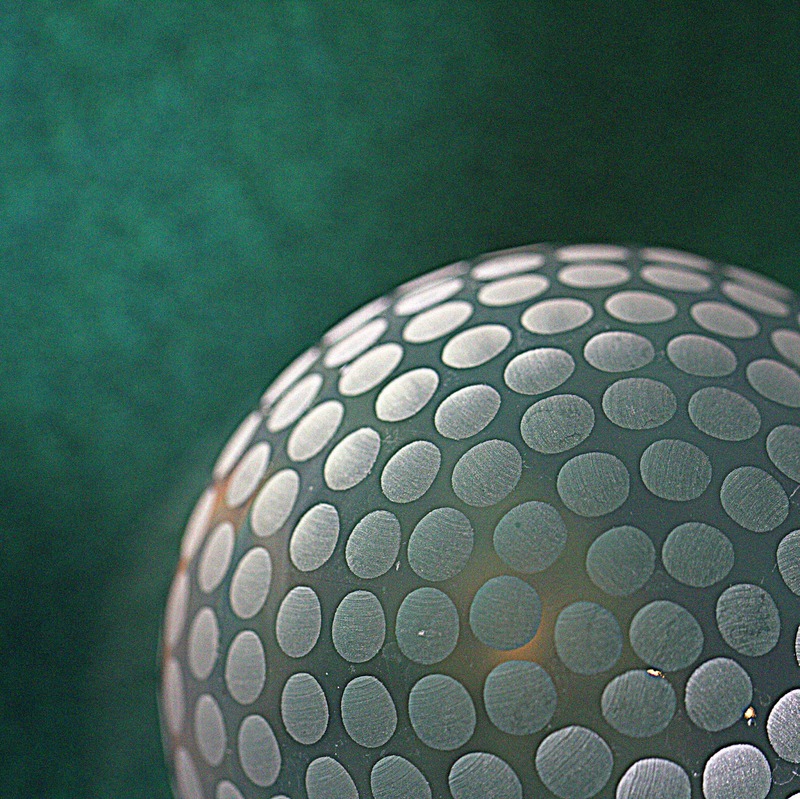 - Dimples have been a part of golf ball design for over a 100 years. The dimples help a golf ball fly longer and with more back spin. Most golf balls have a symmetrical dimple pattern consisting of 200 to 300 dimples. Golf balls with asymmetrical dimple patterns and varied dimple depths were designed in the 1970's significantly improving the straight flight of a golf ball but were quickly banned by the USGA. Canon 7D, 1/250 sec @ f/5.6, ISO 800, 100mm macro, 3 - LED litepanels.